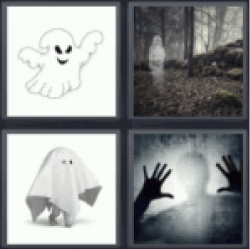 4 Pics 1 Word Cartoon ghost. Apparition in forest. Ghost. Hands and human silhouette.